CentrikBlogsBusiness AdvisoryAll For StartupAre You Able To Find Time For Your Family? If Not, Then Follow These 5 Steps! If you are an entrepreneur then this article belongs to you. As we heard from all businessman that it’s become difficult for entrepreneurs to make enough time for their families. A reason why quarrels begin at home, which make their life difficult. Well, if this is the case with you, you’re at the right place. Here are the top five ways how smart entrepreneurs find time for their families. Do you know Apple CEO Tim Cook is famous for sending company emails at 4.30 a.m., and former Cisco CTO Padmasree Warrior is known to leave her bed at 4.30 A.M. Why do these successful business people get up early in the morning? The answer is simple – they leave their beds early so that they can start their day early. And when they do so, they come home early, meaning more time for their families. Believe me, you will have more time for your family. If you minimize decision-making, you will surprisingly save tons of time that you can spend with your family. You cannot do each and every task with the same efficiency, can you? Smart people never entangle with petty tasks that don’t move the needle. They delegate non-core tasks and save time for their families. 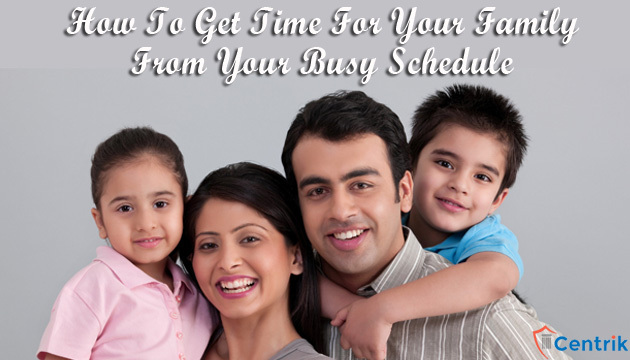 Almost all businessmen schedule time for their families. They plan weekend dinners with their families, take their family members on surprising lunches, and go on weekend trips. A too-busy reality is bad for you and your family. It can damage your family’s happiness. Smart businessmen understand it and take proactive measures to find time for their loved ones. Smart businessmen mix businesses with family travels. This way, they not only spend more time with their families but also provide their family members with opportunities to explore new places. What’s more, taking a family on a business tour teaches kids many life skills, such as being organized, respectful, and responsible. Entrepreneurial journey is never easy. You have to nurture your business like your kid. But, in the process, you shouldn’t ignore your family and kids. Follow these tactics and find more time for your family.